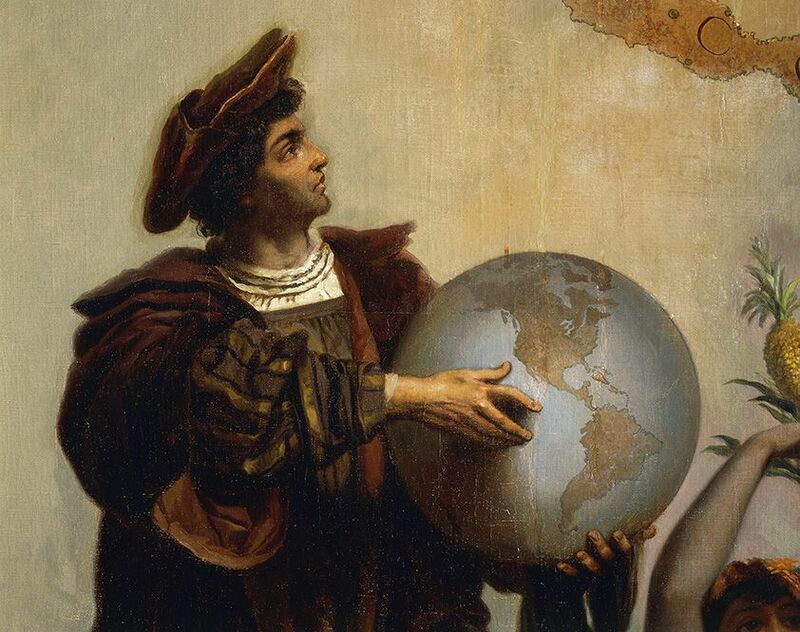 How Much do you Know About Christopher Columbus and his Travels? Think you know a lot about Christopher Columbus, his travels and the holiday that bears his name? Columbus Day is a national holiday in many countries in the Americas and elsewhere which officially celebrates Christopher Columbus' discovery of America. The most common name for the celebration in Spanish, including some Latin American communities in the United States, is el Día de la Raza ('Day of the Race' or 'Day of the [Hispanic] people'), commemorating the first encounters of Europeans and Native Americans. Here's a fun trivia quiz to test your knowledge of this famous European explorer and his place in history. Halloween Trivia Quiz - Halloween is also known as All Hallows' Eve or All Saints' Eve and is a celebration observed in a number of countries on the eve of the Christian feast of All Hallows' Day. Day of the Dead Quiz - Though at first it may appear that this Mexican celebration is similar to that of Halloween, in reality they are quite different. How knowledgeable are you about this Mexican custom which evolved from the amalgamation of Pre-Columbian Aztec rituals with the Catholic traditions of their Spanish conquerors? Thanksgiving Trivia Quiz - Thanksgiving is a national holiday celebrated in Canada and the United States as a day of giving thanks for the blessing of the harvest and the preceding year. Christmas Trivia Quiz - Christmas is an annual festival commemorating the birth of Jesus observed as a religious and cultural celebration among billions of people around the world. New Year Trivia Quiz - In many countries, New Year's Eve is celebrated at evening gatherings where people dance, eat, drink and set off fireworks to mark the new year. Martin Luther King Quiz - Martin Luther King was an American Baptist minister, activist, humanitarian, and is best known for his role in the advancement of civil rights using nonviolent civil disobedience. Valentine's Day Trivia Quiz - St. Valentine's Day began as a liturgical celebration of one or more early Christian saints named Valentinus. U.S. Presidents Trivia Quiz - The power of the US President includes execution of federal law, alongside the responsibility of appointing federal executive, diplomatic, regulatory and judicial officers, and concluding treaties with foreign powers with the advice and consent of the Senate. Easter Trivia Quiz - Easter is a festival and holiday celebrating the resurrection of Jesus Christ from the dead, described in the New Testament as having occurred on the third day of his burial after his crucifixion. Independence Day Trivia Quiz - Independence Day, also referred to as Fourth of July or July Fourth, is a federal holiday commemorating the adoption of the Declaration of Independence declaring the thirteen American colonies a new nation. Pancho Villa and the Mexican Revolution Trivia Quiz - Did you know that Pancho Villa led a raid against the U.S.-Mexican border town of Columbus, New Mexico in 1916? The U.S. government sent Army General John J. Pershing to capture Villa in an unsuccessful nine-month incursion into Mexican sovereign territory that ended when the United States entered World War I and Pershing was ordered to return home. Can You Answer These 11 Trivia Questions about US Presidents?